Todays Washing Machines Come In Two Main Mechanical Styles, “Top Loading” and “Front Loading” Also Called “Horizontal Access”. The Idea is Similar but Obviously Some Differences Exist. The Following Is an Overview of How Washing Machines Work. Click Links Within the Page for More Detailed Information, Troubleshooting, and Help! 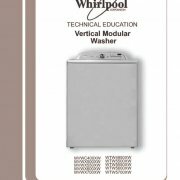 Design variations of washing machines differ by manufacturer, but the general principles are essentially the same, and can be divided into two halves, the washer’s control system and the washer’s mechanical system. The washer control system consists of the timer, control boards, load size selector (pressure switch), a water temperature selector, lid switch. The mechanical system includes the motor, transmission, clutch, inner and outer wash tubs, suspension system, agitator, pumps, water valve, and a belt or motor coupling. Washing machines clean clothing by forcing a water and detergent mixture through fabrics. The action of forcing detergent infused water through your clothing fabric is what enables the detergent to chemically loosen dirt embedded in the cloth and separate it from the fabric. Count your blessings; in the old days, people would beat wet clothes against a rock loosen dirt! In top loading washing machines the agitator ratchets back and forth dragging clothing down to the bottom of the washer tub. The clothes then move back to the top where the agitator grabs them again. 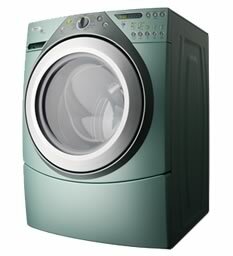 In a front-loading washing machine, the clothes tumble through water in the base of the washer tub over and over again. After the water is pumped out, the inner drum uses centrifugal force to squeeze water from fabrics and clothes by spinning between 500 to 1200 RPM (revolutions per minute.) depending on the washer model. All washers have two tubs. The inner tub contains your clothing and has lots of holes in it allowing water to pass through freely to the outer tub, which actually contains the water. During the spin portion of the cycle the inner tub spins around 500 RPM (Revolutions Per Minute) in a top-loading washing machines, while Front-loading and energy saving washers spin much faster at about 1000 RPM. This squeezes the majority of water out of your clothing greatly reducing drying time. The drain pump then removes dirty wash water from the outer tub. Slightly more efficient and convenient that a wringer! While this was a big improvement over the washboard it was also considerably more dangerous. That loose sleeve could cost you an arm. Modern washing machines use a suspension system of springs, slide plates, and load bearing pads to keep the wash tub in the correct position and control the forces required for spinning and stopping the inner tub, as well as reduce the amount of noise associated with washer mechanics. A washer’s timer is the brain behind all of the washing machines functions. The timer has many small contact switches that open and close as they are activated by a rotating cam, similar to a music box or player piano. As the switches close different components within the washer are energized so they can perform their work at the proper time. The timer is usually the first thing blamed for a malfunctioning washer; however, it is rarely the cause. Timers may fail in the following ways. The timer motor doesn’t rotate the internal cam, some of the switch contacts weld closed and never open, or some of the switch contacts build up carbon deposits and fail to close and make contact, not allowing a particular washer component to receive the electricity needed to work. If you look closely at the washer timer in the picture above the third contact from the right is blackened from electrical arcing. Do Not open your washing machine’s timer for a peek they can rarely be reused after being opened. Washer timer problems must be diagnosed by symptoms and voltage checks with a voltmeter. Some washing machines use control boards instead of a timer for more accurate control of the washer’s functions. The purpose of a control board is basically the same as a timer; energize washing machine components at the proper time. To do this the control board monitors sensors throughout the washing machine to regulate water temperature, wash and spin speeds, fill and drain time as well as user commands. Washing machine control boards are computerized and slightly more difficult to diagnose, and expensive to replace. 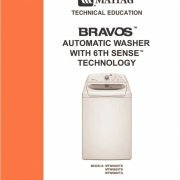 Fortunately most washers that are control board operated, such as the Whirlpool Duet & Cabrio, Maytag Bravos, and Sears Kenmore Oasis have diagnostic modes that can be used to identify and fix washer problems. A washing machine’s lid switch indicates whether the lid is open or closed, and will interrupt some or all of the washing machine operations. 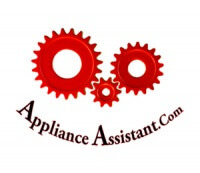 This is a safety mechanism that has greatly reduced the volume of appliance related injuries. A washer’s timer will generally allow the washer to fill with water while the lid is open; however, most new washers will not allow any mechanical functions while the lid switch is open. Some older models will allow agitation, but no washing machines should spin with the lid open or a broken lid switch. The lid switch is the most common cause for a washer that won’t spin, and some newer washing machines that will fill but not agitate. All washing machines have an internal water valve that connects to the water supply of your home and automatically controls hot and cold water to flow into the tub by opening an internal gate with several electromagnetic solenoids, also called “coils”. There is one solenoid responsible for the hot side of the water valve and one for the cold side. Some washing machines that have additional dispensers may have additional solenoids to control water flow to the fabric softener, bleach, or detergent cups. Over time the water valve screens can clog up with all kinds of debris and reduce the water volume able to flow through the valve into the washer’s tub. This can cause the washing machine to take a very long time to fill up with water. Some times the valve may fail to close completely and cause water to dribble into the washer’s tub when it should not. Washing machines commonly use a pressure-sensing switch to control the amount of water released by the water valve into the washing machine’s tub. The washer’s pressure-switch is connected to the base of the washer’s outer tub with a clear rubber tube that carries air that increases in pressure as the water level in the washtub increases. When the air pressure reaches a particular level the switch will “open” stopping the flow of electricity to the water valve allowing it to drop closed, stopping the flow of water. Any pinching or holes in this tubing will not allow the pressure switch to “feel” the water pressure in the tub and will often result in the washing machine overflowing, because it thinks that the washer tub is empty and will not close the washer’s water valve. The agitator is the arm of any washing machine. During the wash cycle, the agitator moves back and forth to pull the clothes through the water enabling the detergent to loosen dirt and soil. The washer agitator is directly attached to a drive system that alternates between clockwise and counter clockwise rotation. Two part agitators have a separate top portion that ratchets with a cam mechanism. 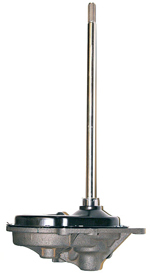 Small cams within the agitator top control its movement are often called agitator “dogs“. These agitator dogs can become worn down due to overloading, resulting in an agitator that won’t move. 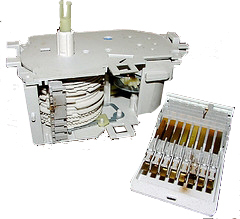 Some washing machines such as GE brand washers use a plastic hub called an agitator coupling to transfer power from the drive system to the agitator. This agitator coupling can strip out over time and no longer drive the agitator, again causing an agitator that won’t move. All washers have a drain pump to force the dirty water up and out of the washer tub. 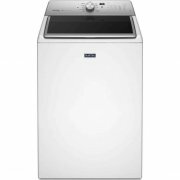 Some washer styles also have a recirculation pump that will recycle the water in the tub back on top of the clothes to encourage clothing movement and reduce the amount of water needed to complete a wash cycle. washer pumps are ether directly attached to the washer’s motor, driven by a belt from the washer motor, or the pump may have its own internal electric motor. All pumps have a relatively small paddle wheel called the impeller that spins, pushing the water in the direction of its rotation. Pumps can become clogged, or break internally causing complaints like…”My washer won’t drain.” Or “My washer’s full of water.” Most problems with a washer’s pump are fairly easy to fix, just be sure you have the water in the tub under control before you remove any pump or you will have a huge mess to clean up. The washing machine’s motor drives the agitator, pump, and inner tub. Some washing machines are “direct drive”, in which the motor is connected directly to the pump and transmission. Other washing machines use a belt drive system in which the motor applies force to the drive system and in some cases the pump with belt and pulley. On some belt driven washing machines, the pump may have its own internal motor powered separately by the timer. And if that wasn’t enough to remember some washing machines use a direct driving motor that is magnetically driven with a stator and rotor. 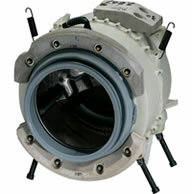 Most washing machines use a clutch to absorb some of the force generated by fast starting motors. The clutch allows the transmission to grab the tub or agitator in a gradual manner rather than all at once, which can cause damage . Some washers use a clutch mechanism while others rely on slippage and gradual tension of the belt and pulley. A worn out clutch is often responsible for a washing machine that is not spinning fast enough or wet clothes at the end of the spin cycle. A Belt is used to transfer energy from one mechanical component to another. 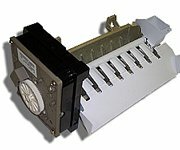 A belt can also be used as a clutch to reduce the amount of strain applied by fast starting motors used in washing machines. A belt’s surface can become “glazed” or burned slightly reducing the belt’ ability to hold a pulley. This lack of holding ability in the belt’s surface leads to slipping creating more heat and additional burning of the belt’s surface. 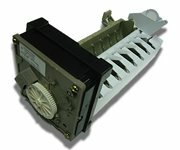 Some of the Whirlpool build Cabrio and Maytag Bravos washing machines now use a belt driven “Splutch Drive” system in place of the direct driven stator drive models. Direct drive washing machines use a part called the motor coupling in place of a belt to transfer motion energy from the washer’s motor to the washer’s transmission. The washer’s motor coupling is made of rubber and plastic and is fairly common to break when the washer is regularly overloaded, creating a sound something like this Fear not, a washer motor coupling is inexpensive and simple to replace. The washing machine transmission drives both the spinning of the inner tub and the back and forth ratcheting motion of the agitator. a washer has either a single direction or a reversing motor. With a single direction motor, an electromechanical device called the (Solenoid)controls whether the transmission drives the agitator or the inner tub. Reversing motors engage the tub when they rotate in one direction and the agitator when they move in the opposite direction.